Bitcoin mining Colocation: Bitcoin is in the news for its rising price and buzz. Many Bitcoin trends and statistics predict that this is really the currency of the future and that people who do not invest will be left behind. Crypo currency is something people use around the world. With that said, this type of currency needs a place to be housed or located and it can be tricky to the find the perfect data center with the right price and technology. And of course, some traditional centers are wary of the currency. Bitcoin colocation miners need data center colocation if they need power and cooling, security, enough bandwidth and more. Not every data center wants this burden because of the power fluctuations that take place with Bitcoin. Additionally, it can be hard to properly cool the space and it is hard to manage a budget with such variations. 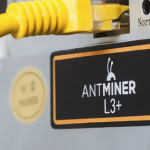 Miner Hosting is known for making a data colocation center for everyone from the entrepreneur at home that needs ASIC mining hosting to Fotune 500 corporations. They have over 20 years of experience, which is why their center is cost effective for everyone. Clients can sign up with a provider for free to use this Bitcoin mining colocation center and then the provider pays a referral fee. This makes it easier for people to sign up for colocation services and also spreads out the business to many different parts of the world. Of course, MinerHosting.net makes sure to work with only the most reputable of providers and vetts people according to a high standard of requirements. 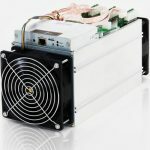 For example, www.MinerHosting.net only works with providers who have enough power and advanced cooling, and they make sure that every space is as secure as possible. There are options in the United States, EU and Canada. 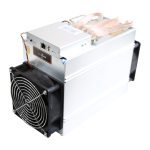 The high standards mean that miners can rest assured that their investment is safe. Rates vary by location and provider and are changing as the technology and needs shift. 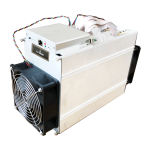 However, some deals available as of press time include provider in Atlanta, Georgia that has packages that vary from Antminer S9 – $95/mo, 1600 watts max to the Avalon A421 -$70/mo, 1600 watts max. Rates are determined by the location, amount of space needed, and the desired power. There are locations in other major cities like London and Las Vegas, among others. Contracts’ specifications vary by provider. For example, some people offer month to month charges whereas others offer 24 hour access seven days a week access to the center for the long term HODL. Bandwidth could be included, and most providers monitor the kw demand digitally so that clients have all the pertinent information they need with the click of a button. Bitcoin miners looking for colocation should consider their investment and budget as well as their space and power needs when balancing the different options. Some other examples include Dallas, Texas, which breaks down the Bitcoin miner colocation and Bitcoin mining hosting cost to include: $219 for Rack, $936 for Power, $100 for the Network. Orlando, Florida had deals that ranged from $135 to $150 a month. Lastly, for those living abroad, London was offering two-year contracts. Crypto Miners can invest in centers month to month, by year or on a longer basis. It all depends upon the investor’s budget and future Bitcoin goals.